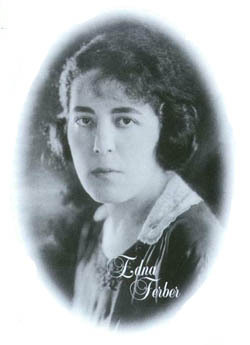 Edna Ferber (1885-1968) was one of the most prolific and popular writers of the first half of the twentieth century. Her novels, collections of short stories, and Broadway plays (including Show Boat and Stage Door) assured her reputation as a popular writer, although she complained that her work was not taken seriously as sociological studies of family, work, and social class. Today her fiction is largely unread, with the possible exception of So Big, her Pulitzer Prize winning novel of 1924 centering on the struggles of a farm woman in Illinois to carve out a living for herself and her son. In its first year of publication—1924—it sold over 300,000 copies. When we read her work today, with the perspective of sixty or more years of women's progress toward equality, we find a writer who in her own person exemplified what an ambitious woman could accomplish against the odds, and we discover in her work women who strove to achieve the American dream of success—through hard work and persistence. Ferber's attachments to Chicago were very strong. In many ways, especially in her early short stories and several major novels, Chicago is a presence as strong as any character. As a child of the Midwest, she lived in Michigan, Wisconsin, and Illinois. As an adult, she began her serious writing career in Chicago and used its landscapes, its presence as a burgeoning urban center at the turn of the century, and its complex mix of immigrants, pioneer families, newcomers, and old stock to explore the tensions that existed in the building of a major metropolis. Even after she left Chicago to spend winters in New York (in 1912), she returned to Chicago for the next dozen years for inspiration and room to let her imagination run free. She found Chicago and its inhabitants endlessly fascinating. Chicago, especially in her early work, including the collection Buttered Side Down, her novel The Girls, and her triumphant success So Big, stood in Ferber's mind for work and its rewards and disappointments. Ferber was an inveterate and tireless worker at her art from the time she was 17 and went to work as a cub reporter for the Appleton (Wisconsin) Crescent. This experience, and three years as a reporter for the Milwaukee Journal, created the writer's habit of close observation, detailed description, and getting to the heart of the matter that contributed to the success of her stories. The other major influence in her continuing focus on working women was her mother Julia Ferber, the matriarch of her family, as her husband Jacob's failing eyesight and early death propelled them into lean days. Many of Ferber's stories of the Midwest deal with the problems of working women: girls from the farm trying to acclimate to life in the city; the value of work in building character and independence for women; and the negative influences on women whose lives are stunted because they are not given the opportunity to find meaningful work. As Ferber herself, first through necessity and then because she had found her vocation, became aware that meaningful work was the key to women's independence and self-value, she incorporated these themes into her writing. was the perfect small American town of her dreams—lovely, friendly, and nurturing. Edna thrived there from age 11 through high school at age 17. Her graduation essay was an account of the life of the women workers in a local mill, a foreshadowing of what would become her most compelling subject. Unfortunately, Jacob's eyesight failed and put the business in danger. Julia Ferber, whom her daughter Edna admired immensely and later referred to as an "iron woman," would pull the family through the crisis of Jacob's death and the family's move to Chicago in 1909. Julia Ferber was to serve as the strong female character in a number of Ferber's works, most prominently Fanny Herself (1917), an autobiographical novel about a Jewish family in Wisconsin presided over by the powerful presence of Molly Brandeis. The example of Julia Ferber is also felt, perhaps with more ambivalence, in the character of Carrie Payson in Ferber's 1921 novel The Girls, a multi-generational novel in which three generations of women from the same family struggle to achieve financial and social independence. Edna Ferber's apprenticeship as a writer was accomplished by writing for newspapers, as it was for many male writers of her generation, including Ring Lardner, George Ade, Ben Hecht, Eugene Field, Carl Sandburg, and Floyd Dell. At age 17 she became a cub reporter for the Appleton Crescent, where she remained for a year and a half, earning $3 a week. She was the first woman to get the job of reporter, and she covered a regular news beat: "I learned how to sketch in human beings with a few rapid words, I learned to see, to observe, to remember; learned in short the first rules of writing." She also admitted to copying the style of O. Henry, "the writer of short stories with the snapper ending, which was the model after which every young writer patterned herself." She found news wherever she could get it, often from gossip. She got to know the working people of the town, particularly the girls who worked in the shops and were repositories of town gossip. "It was to be grist for my mill in the years to come, but I didn't know it then. 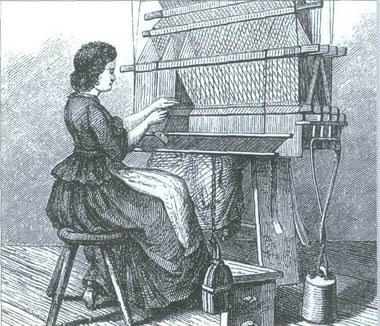 My first short story, entitled The 'Homely Heroine,' starts with a brief description of the clerks in the Pettibone's Dry Goods Store, and I used its atmosphere and that of Ferber's My Store for parts of any numbers of Emma McChesney stories." Needing to earn more money to contribute to the family and wanting to spread her wings, Edna sought out a reporting job on the Milwaukee Journal. She took a job paying $15, but the costs to her psyche were great, as she left home for the first time. Her working at the Journal was grueling and brutal. She covered the police court and juvenile court, she lived in boarding houses where the food was unhealthy, and she eventually collapsed. After three years, overworked and sick, sent out in the worst weather to cover every type of story, tense and emotionally drained, she went home to Appleton, never to return to the newspaper world. But, writer that she was, none of the material was wasted: "When I ceased to be a reporter and became a writer of fiction I found the habit of condensation so fixed that fifteen hundred or two thousand words covered any short-story idea I might have. The stories contained in my first book of short stories, Buttered Side Down, could only have been written by an ex-newspaper reporter." In addition, her first novel, Dawn O'Hara, is the story of a newspaper woman in Milwaukee, although with few similarities to Ferber's own experience. Three volumes of Emma McChesney stories clearly show the influence of a journalist—short, snappy, detailed takes on people and places, a strong ear for dialects and regional speech, and a waste-nothing attitude. In 1909, when Jacob Ferber died, his wife and two daughters moved to Chicago, where Julia Ferber bought and managed real estate. Before the move took place, Edna had visited the Chicago Tribune office in search of a job, but was told that they did not want a smalltown girl. Later, when she was living in Chicago and returned to the Tribune, she was told that they did not have women reporters. Undeterred, Ferber then started seriously on a career as a short-story writer for the popular magazines. Chicago is the setting for many of these works, and for Ferber in these important stories and eventually novels of Chicago women, work is synonymous with the city, for good or for bad. For the next thirteen years, Ferber and her mother and sister lived in hotels and furnished apartments on the city's South side, first on Vincennes Avenue, and later in East View Park and at the Windermere Hotel in Hyde Park. Her description of Chicago at the time tells us how much she is energized by it: "Just to be out on the Chicago streets, with their smoke-blackened apartment houses and their bedlam of Loop traffic; their misty green lakeside parks and windswept skyscrapers— strange mixture of provincial town and cosmopolitan city, with the stink of the stockyards from the west side, and the fresh tang of Lake Michigan from the east side—this was to know adventure." Her first short story, 'The Homely Heroine," was accepted by Everybody's Magazine for the fee of $50.60. Angered by this lowly sum, she began to write more and demand more money. In 1911, her first novel, Dawn O'Hara, written while she was still in Wisconsin and almost thrown into the fire during the move to Chicago, was published by Stokes and sold 10,000 in its first edition. She was on her way. Once in Chicago, she was surrounded by stimuli and filled with ideas for stories: "Chicago stories tumbled, one after another out of my typewriter. New Year's Eve in a Chicago Loop hotel... a woman buyer in a Chicago department store...a clerk in a cut-price shoe store. They were stories of working people, of the Little People, of those who got the tough end of life." Many of these stories were published in magazines and then collected in Buttered Side Down (1912), stories with unhappy or unexpected endings in the style of O. Henry. Most are about women and most are set in Chicago among working-class people. Some begin or end in small towns, but the aura of Chicago is not far off. For example, 'The Frog and the Puddle: A Story of Chicago," set in the rooming-house district then called Notingham, near Dearborn and Division, focuses on a young woman and man from small towns in the Midwest who are next door neighbors in a rundown rooming house, both working at "little jobs," and both terribly homesick. The story seems to be leading to a typical romantic ending, but instead Ferber turns it around and Gertie decides to go back home. A second story in this collection, "What She Wore," is about a young shoe clerk in a downtown loft who wears sleazy and inappropriate clothes to work. From Oskaloosa, Iowa, she has already taken on some of the city brashness, which allows her to function. Much of the story recounts the grimness and poverty-stricken lives of young working women and their struggle to maintain themselves in the face of these circumstances. A more upbeat story, yet hardly "happy," in the collection is "One of the Old Girls," which focuses on the working girls at Spiegel. The 40-something heroine is Effie Bauer, head of the corset department, independent, fairly prosperous, and unmarried. Unlike the younger heroines, she is in control of her life until she becomes ill with typhoid and realizes she needs a man to take care of her. But in Ferber's "buttered down style," this "old girl" declines his proposal because it means giving up her independence. Other stories in the collection demonstrate the loneliness of women who travel alone, in this case "the leading lady" of an acting troupe who finds herself miserable in a cheap hotel 2,000 miles from home. The narrator of yet another story, "That Home Town Feeling," has no greater ambition than to sit in a rocking chair on the sidewalk at the corner of Clark and Randolph streets in Chicago and watch the crowds go by. In this story, the narrator's vantage point is a newspaper stand on Clark Street where people come to buy their hometown papers. The great diversity of life on this longest of city streets fascinates her, as do the two main characters, both homesick, who meet at Tony's, determine to go back home, only to show up a year later at the same place. The story reveals Ferber's determination to "make it" in the city, to leave the past behind, to make work more important than nostalgia about small-time life. And it reveals Chicago as a crossroads, a place where desperate lives converge and separate, where new identities are forged. In Buttered Side Down, people are caught up in urban problems of loneliness, hunger, and alienation. Ferber, with her sharp ear for dialogue and detail, heard their conversations, saw their sadness, and made them part of her literary landscape. She believed that her stories and novels were serious social criticism, and while many critics missed this element in their reviews, some, like Burton Rascoe in the New York Tribune, later praised her portrayal of aspects of Chicago as being more vivid and of greater distinction than any other writer's. Ferber's novel, The Girls, about three generations of "old maids" in Chicago, was clearly inspired both by the matriarch who financially controlled Ferber's own family, and secondly by the "spinster" life of Ferber herself and her close friend Lillian Adler, to whom the book is dedicated. All of the women work, or want to, and resist when thwarted, as does Lottie, the heroine at the turn of the century and through World War I, who fights her way out of middle-class inertia, to become the independent and resourceful women she was meant to be. After The Girls was published, Ferber traveled to Europe and felt strongly that the entire continent was doomed. Back in America she sensed that the lost generation was here too, with young people too flighty and too rich. She traveled around America on book tours and speaking engagements and spent more time in New York, less in Chicago. Perhaps as a way of refuting the despair she felt at the fate of Europe, she sat down to write "the story of a material young man, son of his earth-grubbing, idealistic mother." Dirk DeJong, one of the hysterical youth with too much money is juxtaposed with his heroic mother Selina Peake De Jong in the novel that was to be the turning point in Ferber's life—So Big. Ironically she wrote the novel against her better judgement. Ferber told her editor that nothing ever really happened in the book. It had no plot at all.... .The book's high dramatic point came when Selina drove to town with a load of cabbages, turnips and beets." With a writer's instinct to be in a familiar place in which to give birth to a novel, she returned to Chicago in the hot, steamy summer of 1923, and took an apartment at the Windermere Hotel on the South Side, across from Jackson Park and the Lake. Despite the heat and the noise of the Illinois Central trains, she found "the lake front, the tree-shaded park with its lagoons, the vast distances of the great sprawling city, and few people I knew there, all conducive to work." Ferber often was quoted later as saying that not only did she not plan to write a bestseller, when she finished it she felt she had written the world's "worst seller." She wrote her editor at Doubleday to say she felt strongly that it should not be published as a novel. Nevertheless it was an instant best seller. In 1924 it received the Pulitzer Prize for the best American novel. And fourteen years after its publication, she took pride in announcing that it was required reading in English courses in most American public schools and colleges. The novel celebrates women, work, and the midwestern landscape. It is in many ways the triumphant culmination of this important triad in Ferber's fiction. Selina Peake, an orphan at 19, takes a teaching job in the Dutch farming community of High Prairie, south of Chicago. Within the year she marries a handsome but unimaginative truck farmer who cannot get the farm to prosper. When he dies ten years later, leaving her a widow with a young son to raise, she puts into practice many of the improvements that make the farm a going enterprise. But in order to do so, she has to fly in the face of convention: her minister tells her that the Haymarket in Chicago is no place for a decent woman, and the buyers there are reluctant to deal with a woman. Not easily dissuaded, she goes house-to-house to sell her vegetables. Realizing that she cannot compete unless she is "different," she begins to specialize in growing "fine things." She turns the farm into "a prosperous and blooming vegetable garden whose output was sought a year in advance by the South Water Street Commission merchants." In her life-long struggle for survival, Selina never sacrifices her feminine characteristics: she remains a devoted mother and a lover of beauty. She eschews the materialistic values and spendthrift existence of many in the city—including her son. Selina embodies the sense of independence, the willingness to experiment, the determination and even audacity that defined the New Woman coming of age in Ferber's Chicago. While Ferber was to return to a Chicago setting briefly in Show Boat (1926) and in the short story "Blue Blood" (1927) about the Chicago stockyards, it is the three works discussed above in which we find Edna Ferber's Chicago closest to her heart and most vivid in their depiction. Even after she had moved to New York to spend most of the year when she was not travelling, she did not find it difficult to live in the first and write about the second. In an interview, she describes Chicago life as "all very dull and middle class and stuffy—and there's nothing in the world that so interests me." She remarks particularly on the smalltown atmosphere of Chicago and the lakefront beaches, which are "equalizers because people of all walks mingle there." She also notes the importance of the ethnic enclaves, with each group remaining in its own neighborhood and refusing to be absorbed by the city. In New York, she tells the interviewer, she'll never be more than an onlooker, but when it comes to writing, "I turn back to the town with a little human awkwardness left in it." For Ferber, Chicago was a compelling subject, not least of all, because it was a working town and she was always a working woman. She says in her 1938 autobiography, A Peculiar Treasure, "America has been a work hive since the fifteenth century.... With millions of others I have been a work worshipper.... Work was a sedative, a stimulant, an escape, an exercise, a diversion, a passion.... I've worked daily for over a quarter of a century, and loved it." She believed in the capacity of women to succeed, and she lived out this belief in her own life. She was tuned into the issues that were important to women of her time, was read more widely than most male writers of her generation, and left a fortune to her heirs.